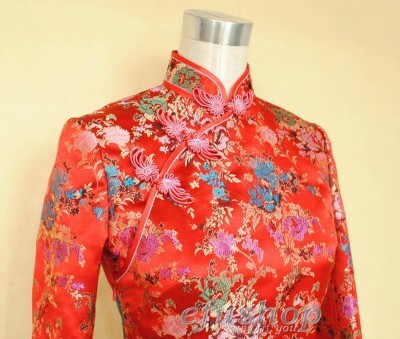 name: Traditional QiPaoDescription: Red background with colorful floral blossom. Mandarin collar, phoenix buttons, side zipper. Long leeves, double piping. Ankle length. Elengant Chinese cheongsam dress.